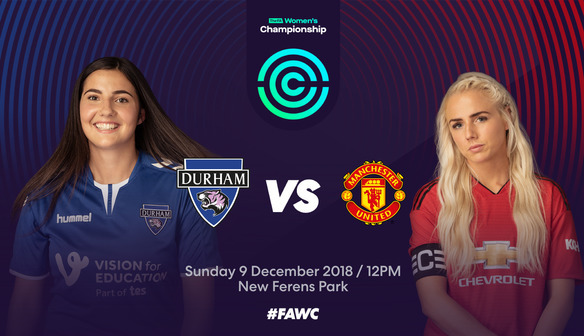 Durham Women welcome Manchester United to New Ferens Park this weekend - and here's everything you need to know about tickets for the big game. We have already seen unprecedented demand for tickets for this clash and, with that in mind, we have produced these FAQs to help supporters in the build-up to the game. PLEASE NOTE: ONLINE SALES FOR THIS FIXTURE HAVE NOW FINISHED. TICKETS WILL BE AVAILABLE ON THE GATE VIA A CASH TURNSTILE. 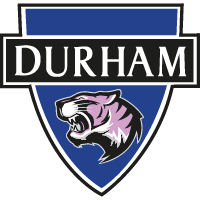 If you have a question which is not answered in this article, please email mark.donnelly@durhamwfc.co.uk. How much are tickets for Durham Women v Manchester United? Tickets are priced at £5 for adults, £2 for concessions (U16s, students, OAPs) and £12 for a family of four. Will I be able to purchase tickets at the gate on the day of the game? We will have cash-only turnstiles in operation on the day of the game. However, should we hit capacity on the day of the game then on the day sales will halt. How can I buy tickets for the game online? Online sales have now halted - but tickets remain available on the gate. I'm a Season Ticket holder - am I guaranteed entry? Yes - all Season Ticket Holders are, of course, guaranteed entry to this fixture. Simply show your Season Ticket at the turnstile as normal. This also includes Sister Club players and Regional Talent Club players who have been allocated Season Tickets. Are seats allocated at New Ferens Park? No - all seats are available on a first come, first served basis.